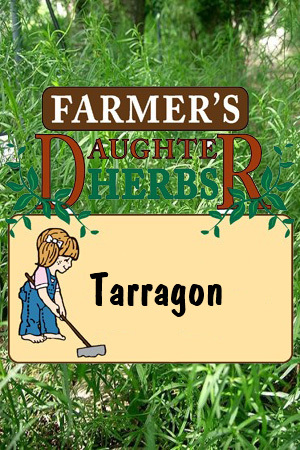 Tarragon is called the "King of Herbs" by the French, and with good reason. It is the main flavoring in many of the sauces that form the foundation of classic French cuisine, such as bearnaise, rigavote and tartare. When paired with chopped sprigs of fresh parsley, chives, and chervil, you have the traditional seasoning blend known as fines herbs. This aromatic blend enhances the flavors of egg, chicken and fish dishes, and is also used as a basis for salad dressings. When using tarragon in cooked dishes, it is best to add it at the end, as heat tends to decrease its flavor. 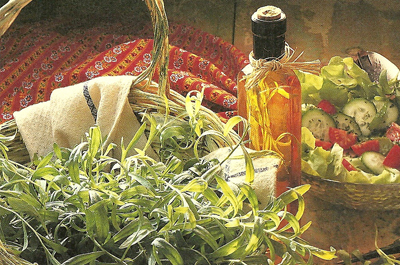 Unlike most of the other herbs, tarragon loses the potency of its flavor when dried. This may be one reason it is so frequently preserved in vinegar, which captures tarragon's essence and creates a tasty condiment that can be used in dressings, mayonnaise and as a zesty deglazing alternative to wine. Tarragon vinegar is excellent for making salad dressings and marinades for meat and poultry. It is also a flavorful addition to gravies. To make tarragon vinegar, place 1 sprig of tarragon in an airtight bottle. Bring white wine vinegar to a boil and carefully fill the bottle with the hot liquid. The vinegar can be stored for several months if kept tightly closed in a dark place.